What was it about hats at the Grammys? 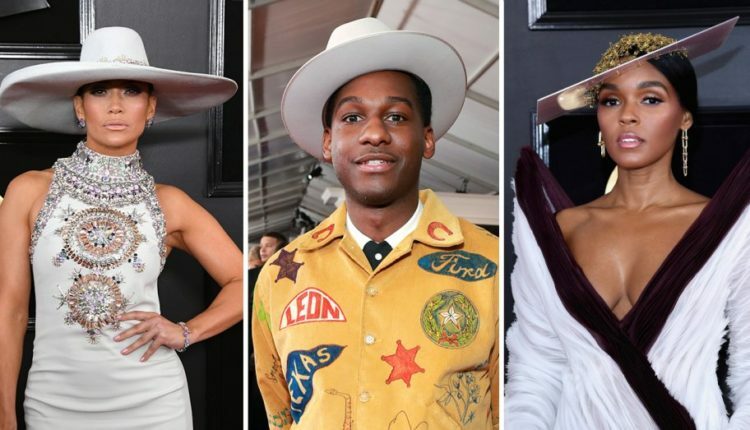 The 2019 Grammy awards were full of insane fashion risks, with the likes of Cardi B, Katy Perry and many more taking incredible risks (did you see Cardi B’s clamshell dress!?!?! Crazytown!) One fashion statement however outshined all others this year, and that was, of course: hats! 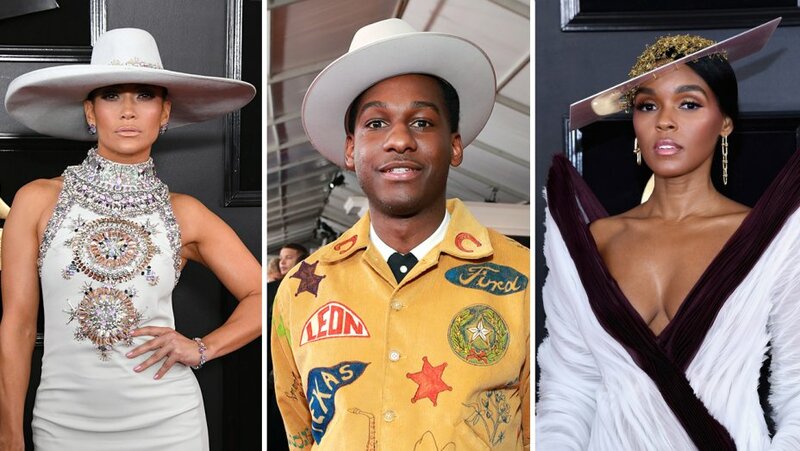 Jennifer Lopez rocked a white large hat with rhinestone trim that matched her dress, while Janelle Monáe wore a wide rimmed hat made out of safety pins. The hat was the perfect accessory to go with her Jean Paul Gaultier. Cardi B who made headlines for wearing a remake of a 1995 Mugler gown sported a hat too. Her hat was probably the most demure part of her outfit. But the pearl hat was the cherry on top of an outfit that reminded everyone of Ursula from The Little Mermaid. Music producer Linda Perry wore her signature tall black top hat, and Leon bridges paired his artistic suit with a white top hat. This isn’t the first year we’ve seen hats at the Grammys. Pharrell caught the worlds wye when he wore a brown hat to the award show. The hat sparked hundreds of memes and one big comparison to the Arby’s logo, becoming the greatest free marketing any fast food place has ever had outside of that weird kid and all of his Wendy’s nuggets. But hold on. We’re talking about big old Grammy hats. What do you think about this trend? Let us know in the comments or on Twitter at @WhatsTrending.